Every business that regularly has displays at trade shows knows what a racket electrical power distribution is. 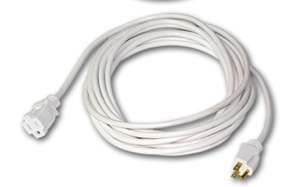 You pay to design, build and ship your display and then end up renting overpriced and worn out power distribution cables and extension cords from the venue and, after that, pay to have them installed (read “plugged in”). 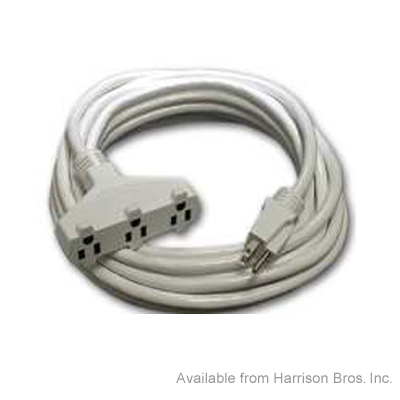 By taking time to “build in” the required power distribution into your display (multi-outlet extension cords, power strips, etc.) you can save money both on rentals and set up. 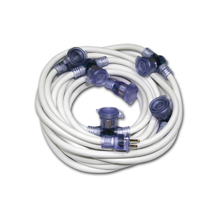 Our line of UL approved white extension cords are perfect for integrating into a well designed display.